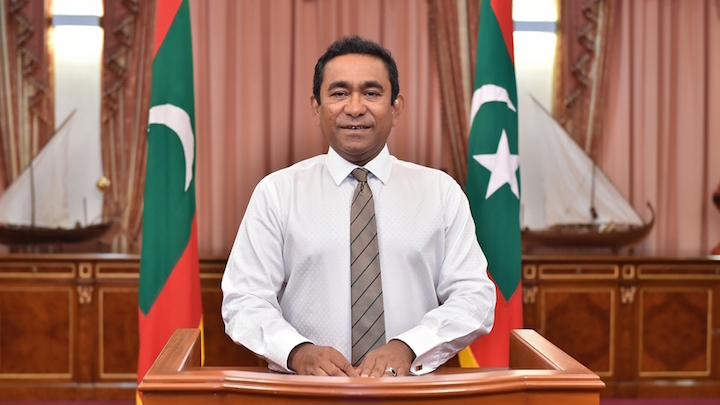 Ruling party lawmakers have berated President Abdulla Yameen over an abrupt hike in food and electricity prices, with one MP claiming he could no longer walk the streets because of criticism from the public. Prices for food staples doubled overnight on Saturday, stoking anger against an administration that is already besieged over human rights abuses and a historic corruption scandal. The hike in food and electricity prices follows the finance ministry’s announcement of a host of austerity measures to rein in a deficit that is expected to expand to 13.3percent of the GDP amid a reported slowdown in the tourism sector. Some MVR300million (US$19.5million) is spent on subsidising food every year, the economic ministry has said, claiming the hike in prices, which it described as targeting subsidies for the poor, would save the state at least MVR140million (US$9million) this year. In Malé, a kilo of rice that previously cost MVR3.98 (US$0.26) now costs MVR7.96 (US$0.51). Price of a kilo of sugar went from MVR4.5 (US$0.29) to MVR8 (US$0.51) and flour from MVR3.5 (US$0.22) to MVR5.96 (US$0.39). Prices are even higher in the Maldives’ far-flung atolls; in Addu, a kilo of all three staples costs MVR2 (US$0.13) more than in the capital. The bulk of rice, flour and sugar sold in the Maldives is imported by the state-owned State Trading Organisation and distributed to retail shops at prices set by the economic ministry. The poor will receive a monthly cash hand out of MVR40 (US$2.6) per person and MVR240 (US$15.6) per household to buy food, the government has said. Some 15 percent of the nearly 350,000 strong population live below the national poverty line of US$2 per day, according to figures by the Asian Development Bank. Electricity bills are also set to rise, with the state utility company announcing an additional charge of MVR0.04 on each unit of electricity effective September 19. Restaurants, teashops and bakeries are reported to be revising prices on their menus. On Friday, local media reported that shops across the Maldives ran out of staples as customers rushed to stock up before prices increased. 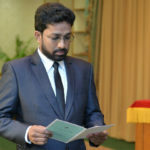 As anger mounted on Saturday, Presidential Affairs Minister Ahmed Zuhoor hurried to defend the plan, claiming international financial institutions had forced the government’s hand by refusing to lend to the Maldives until subsidies are lifted. “For development, we have to obtain loans from foreign financial institutions. We can only continue with the projects across the Maldives when they finance us. 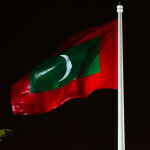 But they do not want to finance us at all when everything is subsidised in the Maldives,” he said. Targeting electricity and food subsidies has been a longstanding recommendation of the International Monetary Fund and the World Bank. Experts have also urged the government to cut the burgeoning public sector wage bill, which accounts for a third of the state budget. Zuhoor went on to draw criticism online when he suggested that a majority of Maldivians would not be hit by the change in prices because they buy the unsubsidized long-grained Basmati rice imported by private companies. He also went on to say that the poor would not be affected by high prices at teashops and restaurants, as they do not eat out. The government insists that it is migrant workers who benefit most from the food subsidy. 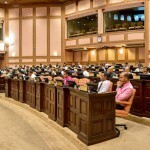 One lawmaker meanwhile told the state broadcaster on Friday that MVR73million (US$4.7million) and MVR54million (US$3.5million) was spent on subsidizing food for migrant workers and tourists, respectively. The main opposition Maldivian Democratic Party meanwhile dismissed the claim that international financial bodies were behind the price hike. The religious conservative Adhaalath Party echoed the call, accusing the government of mismanaging the economy and suggesting a “hidden political agenda” behind the sudden hike. The party also noted that although the government said it would subsidise food for the poor, it has not yet published the criteria it uses to measure poverty. The proposed cash hand-outs were not sufficient to cover costs, it said. 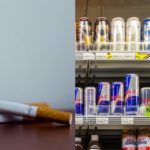 The rise in prices will double expenses on food, increase inflation and cost of living, “resulting in a culture where citizens are forced to bed the government,” the party said. 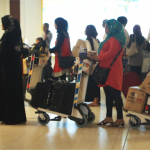 Critics have also meanwhile that the government is not likely to meet its growth targets of 6percent this year, and Tourism Minister Moosa Zameer conceded last week that the government’s target of 1.5 million tourist arrivals in 2016 will not be met. The World Bank estimates the economy to grow at 3.5 percent. The International Monetary Fund meanwhile warned earlier this year that the Maldives is now facing “a high risk of external debt distress” due to large increases in capital spending, which are wholly financed by external debt.